While the list of Acer Laptops listed below seems large, it is by no means an exhaustive list. 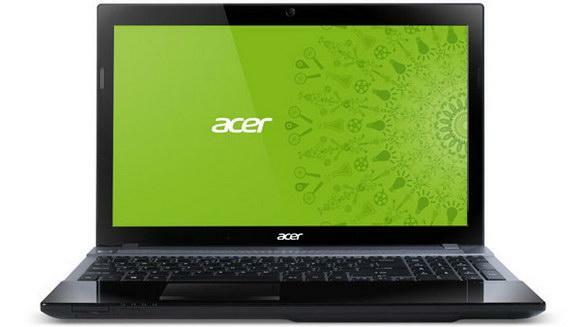 The list below is comprised of some of the more popular Acer models that we have seen over the years. If you do not see your Acer Laptops model on this list, don’t fret, just give us a call with your model number. More than likely we can take care of your needs too. Acer is a Taiwanese company founded in 1976 under the name Multitech, and then changed its name to Acer in 1987. The company has its headquarters in the city of Hsichih, Taipei, Taiwan. In 2005, Acer ranks the order of 4 for branded PC vendors. Acer offers a wide range of products such as desktop and mobile PCs, servers and storage, LCD monitors and high-definition TVs, projectors, and the navigation / handheld. In 2000, Acer directing business to focus on technology development and user-friendly computing. And decided to support the sale of products through specific marketing activities that utilize distribution channels. Revenues increased from U.S. $ 4.9 trillion in 2003 to U.S. $ 7 trillion in 2004. In 2005, Acer employs 7,800 people worldwide to support the sales and service network worldwide. And in 2006, revenues reached U.S. $ 11.32 trillion. Acer’s product line for Laptop is Acer TravelMate, Acer Aspire and Acer Ferrari at the forefront of technology. Acer Ferrari laptops have high quality and managed to get their own special place in the hearts of fans.